The heart and soul of Ireland lies not only in its emerald interior but also along its wild and untamed coastline. Capture the pure essence of this nation from atop the iconic Cliffs of Moher, majestic slabs of rock standing 700 feet over the Atlantic Ocean along the southwestern coast. Feel the cool spray of the water and inhale that Irish air — so fresh and pure you’ll wish you could bottle it up. Yet this landmark is just one of many ways we can connect you with the raw beauty and outdoor wonders of Ireland. Click the button below to get started on planning your vacation to Ireland, complete with stays at countryside inns and restored castles. Marvel at the magnificence and mystery of the Giant's Causeway in Northern Ireland, a UNESCO World Heritage site born from an ancient volcano eruption 60 million years ago. The 40,000 hexagon-shaped basalt columns fade into the Antrim plateau, creating a remarkable — and some have argued supernatural — landscape. 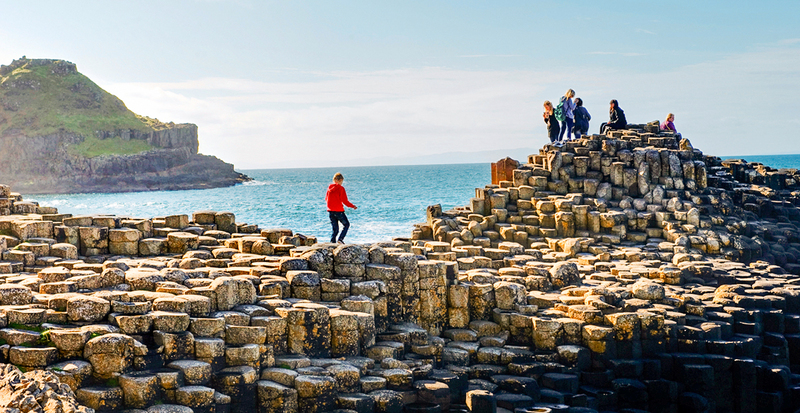 After exploring the stones, continue along the Causeway Coastal Route that connects Belfast and Derry-Londonderry through quaint seaside villages and flower-filled valleys. Tip: This region of Ireland is also a surfer’s paradise, including an epic big wave in front of Giant's Causeway, and we can also arrange lessons among gentler breaks along the coast. Imagine yourself as Irish nobility at Dromoland Castle, where 450 acres of gardens, ponds and countryside are yours to explore. 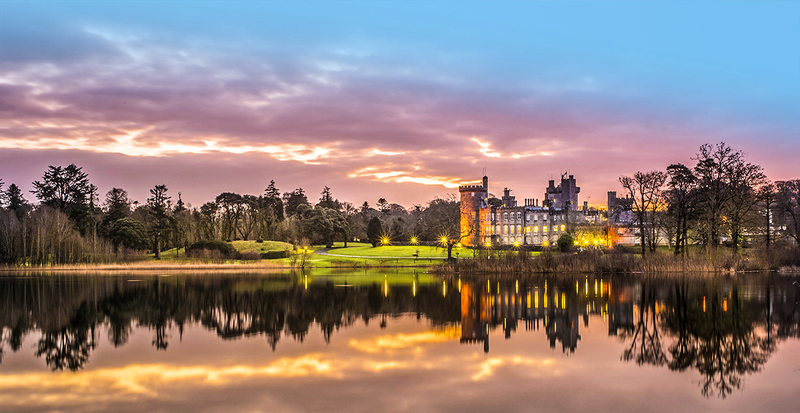 Built in the ninth century as the ancestral home of the O’Briens of Dromoland, the castle became a treasured five-star resort in 1962, welcoming dignitaries and celebrities over the decades. Ride horses through the grounds, unwind at the world-class spa and golf at one of the finest championship courses in the country. Speaking of golf, enthusiasts spend their lives dreaming of teeing off on Ireland’s legendary greens. 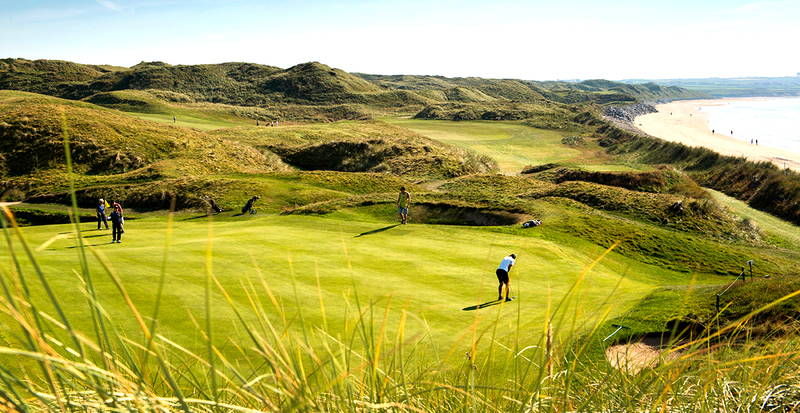 Choose your favorite course, or let us customize a journey that visits some of the most esteemed golf clubs, such as Ballybunion Golf Club located in County Kerry with two challenging and unique courses along a stretch of sand dunes to work on your handicap. Then there’s Old Head Golf Links, built on a 220-acre bluff, jutting more than two miles into the Atlantic Ocean. Fair warning, the stunning vistas from the 18-hole course may prove to be a distraction. Ireland’s rolling countryside and jagged coastline may beckon you to hop on two wheels to get close to nature. But don’t overlook the opportunity to explore the capital city of Dublin by bicycle. 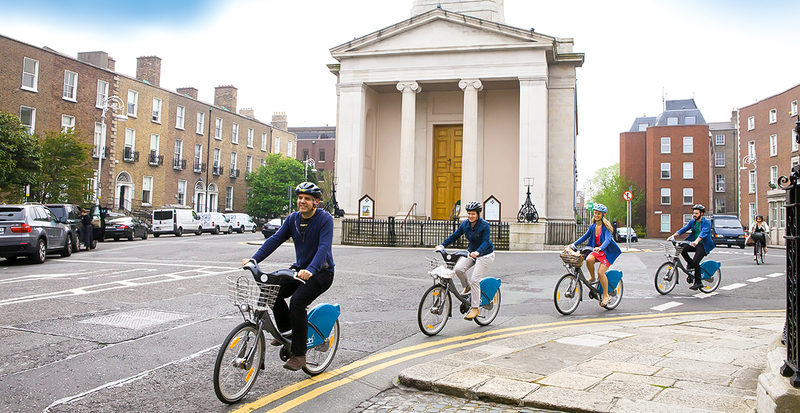 Blend in with the locals and get acquainted with the sites and neighborhoods of Dublin on a guided bike tour, stopping at landmarks such as Dublin Castle and St. Patrick’s Cathedral. Also, roll through the cobblestone-laid Temple Bar and vibrant Portobello neighborhoods. Rather discover on your own? You can pick up (and drop off) your own set of wheels at Dublin Bike bike-share stations throughout the city. Slow down and refresh your soul as you take in all the untamed natural wonders and cosmopolitan surroundings of Ireland and Northern Ireland. Let us arrange your refreshing and invigorating journey today.